COLLEGE PLACE, Wash. --- Walla Walla University has issued a recall of all unmarried graduates of the school. Anyone in possession of a Walla Walla graduation diploma is entitled to free tuition at the school until they are also in possession of a marriage certificate or at least a promise ring. "I'm honestly baffled at how anyone graduates from here without a wedding date at least penciled into their calendar," said campus romance facilitator, Beau Hitch. "They must have really made an effort not to get married after everything we've tried over the years." Hitch said that for the recall to work, re-enrolled graduates were being encouraged to pursue majors historically prone to intermarriage, like Theology and Nursing. I like the name of the campus romance facilitator, “Beau Hitch.” Reminds me of what they used to call “Southern Matrimonial College,” where the co-eds were more interested in getting an “MRS.” degree than a B.A. 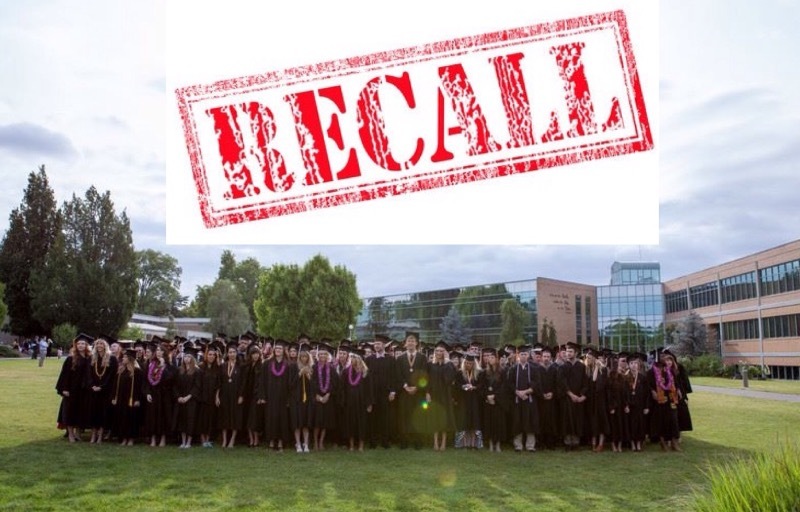 Walla Walla would do more of a service if they recalled all the graduating classes who couldn’t find a job and figure out why they could not find a job. With so many companies going to $15.00 an hour, surely one can find decent employment. Where there is a will there is a way. Stop loafing off your parents. Get up and get out. Woe iz me. They should recall every graduating class that ever drank coffee or coke, watched a movie, ate fish, listened to secular songs, danced, or bathed in a bikini. Once recalled, they should be whipped with a wet noodle and deported to Miami.